What’s the difference between a lake and a pond? First, lakes are usually much deeper and wider than ponds. The water at the bottom is colder than the water at the top during the summer. In ponds, the water temperature near the top of the pond is about the same as the water temperature at the bottom of the pond. Plants grow prolifically in ponds. In lakes, they usually grow near the edges, but not in the middle. 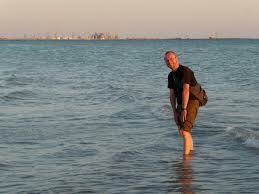 The largest lake in the world is the Caspian Sea in Kazakhstan. It is over 143,000 square miles in length and 3,363 feet deep. Okay, now you know the difference between a pond and a lake. How do lakes and ponds develop? Lakes develop in many ways. As ancient glaciers slid down mountainsides, they sometimes caused huge piles of rocks to pile up. Lakes formed behind these rock piles as rain water collected. Volcanoes can also form lakes. Lava combining with cold water can cause huge explosions, leaving craters in the earth where a lake forms. Forest fires can also cause lakes. A marsh is a wet area filled with plants. As a forest fire rages through an area, it kills all the marsh plants, creating an open area for a lake. 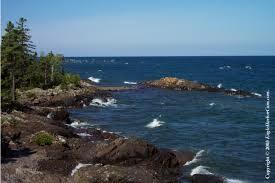 Lake Superior is the largest lake in the U.S. and Canada. It is 31,700 square miles and 1,330 feet deep. Lakes are often isolated places. Interesting animals and plants may evolve in lakes. Man-made lakes are known as reservoirs. People make ponds too. In Scotland, lakes are called “lochs;” hence, the story of the Loch Ness Monster, rather than the Lake Ness Monster. All About Lakes and Ponds: Some animals that live inside and near to ponds and lakes. A video of Kermit the Frog singing about his clean pond. Answer: Some lakes, especially those in mountain ranges, are quite clean. Others are very polluted. Pollution from fertilizers and soaps is a major problem. These fertilizers contain phosphates, which cause algae growth. When algae grow too much in lakes, they crowd out other plant life and animals. Enjoyed the Easy Science for Kids Website all about Lakes and Ponds info? Take the FREE & fun all about Lakes and Ponds quiz and download FREE Lakes and Ponds worksheet for kids. For lengthy info click here. Declan, Tobin. " Fun Lake and Pond Facts for Kids ." Easy Science for Kids, Apr 2019. Web. 18 Apr 2019. < https://easyscienceforkids.com/all-about-lakes-and-ponds/ >.